Optelma has once again contributed to winning projects at the Lighting Design Awards. 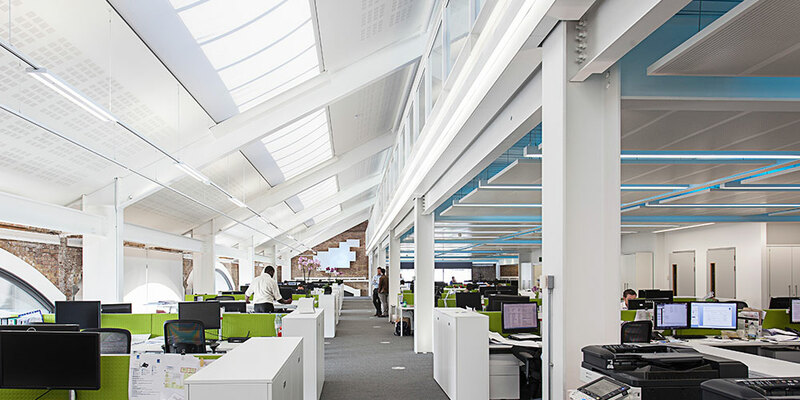 Hoare Lea’s office in the Grade II listed, BREEAM ‘Excellent’, Western Transit Shed, won both the ‘Workplace Lighting’ and the ‘Low Carbon’ Awards. 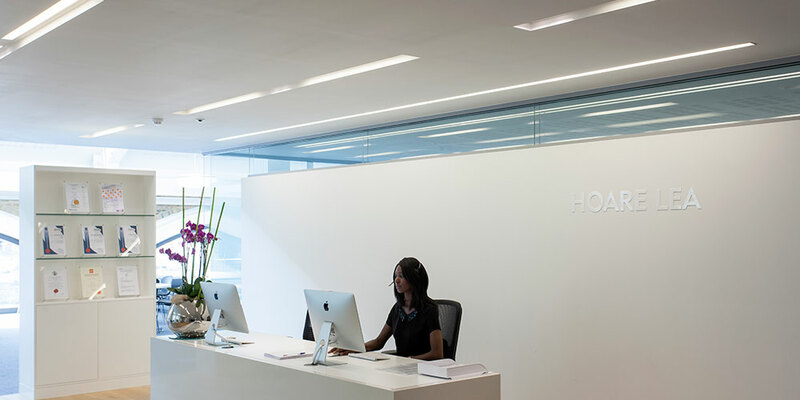 This follows the project’s success at the Lux Awards, where it won the ‘Office and Workplace Project’ category. 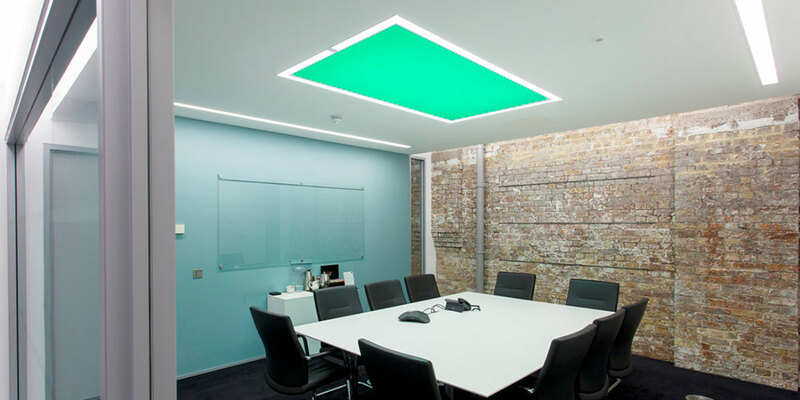 The conference rooms feature Optelma’s HL150, which combines a frame of white light with a stretched ceiling panel in its centre. The frame of DALI controlled white light allows for general illumination using Philips’ Fortimo LED boards and includes a 3W dedicated emergency circuit. Behind the stretch ceiling panel, eight rows of colour selected LED chips are programmed to provide a vivid colour palette, enabling many scenes to be created and stored on the easy-to-use control panel. Under the mezzanine in the open-plan office, Optelma’s QUAD is suspended between the acoustic raft system, forming lines of light and providing broad ambient task light. Integrated linear RGB luminaires on top of the acoustic panels illuminate the white ceiling above, creating a gentle colour backdrop.